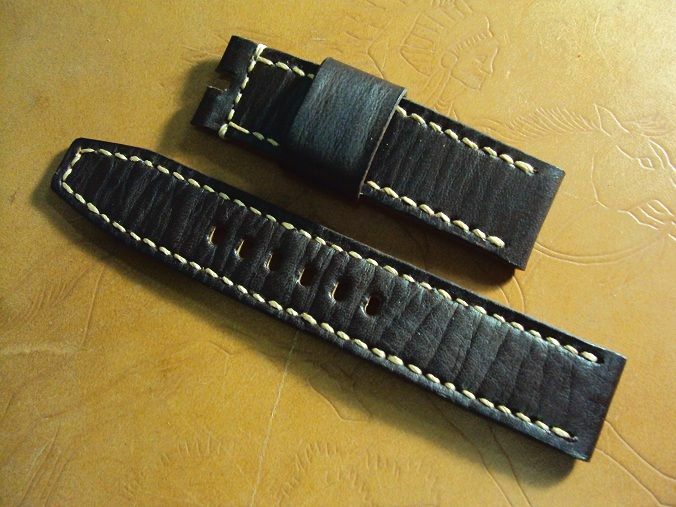 Here are some Panerai custom straps A2160~A2164 include black big horn crocodile strap which have sold by way of some custom strap orders. 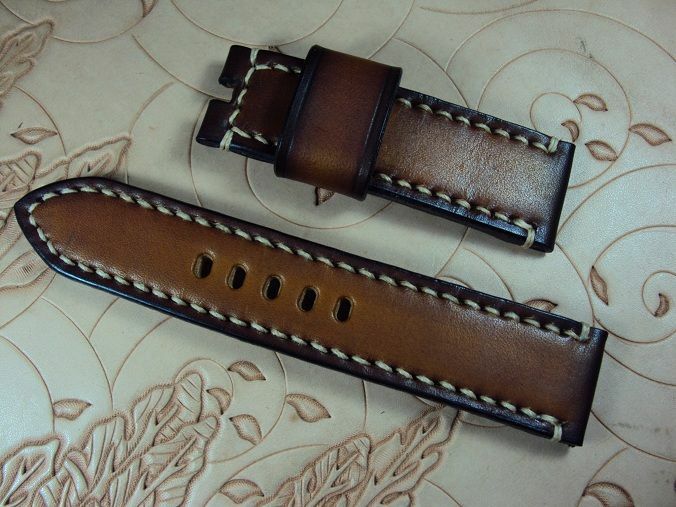 A2160 Panerai chocolate brown vintage leather strap, 24x22mm, 75x135mm, thick 4.0mm, cream stitch. 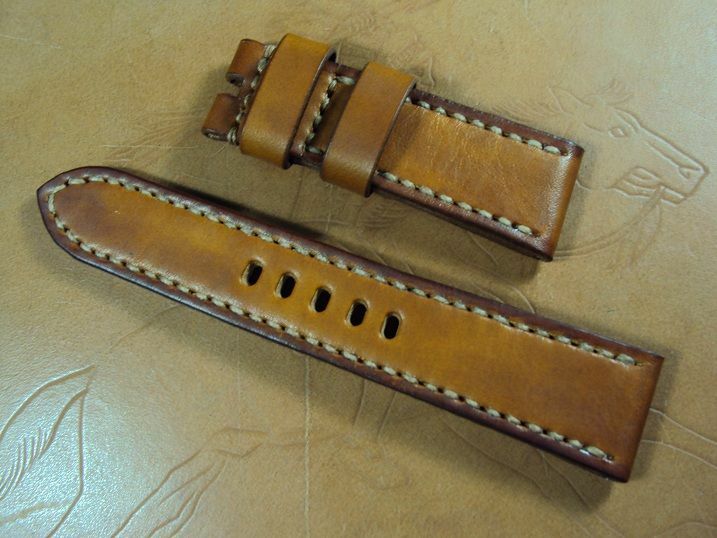 A2161 Panerai padded chocolate brown leather strap, 24x24mm, 80x130mm, thick 5.0mm, cream stitch, one 20mm floating keeper. 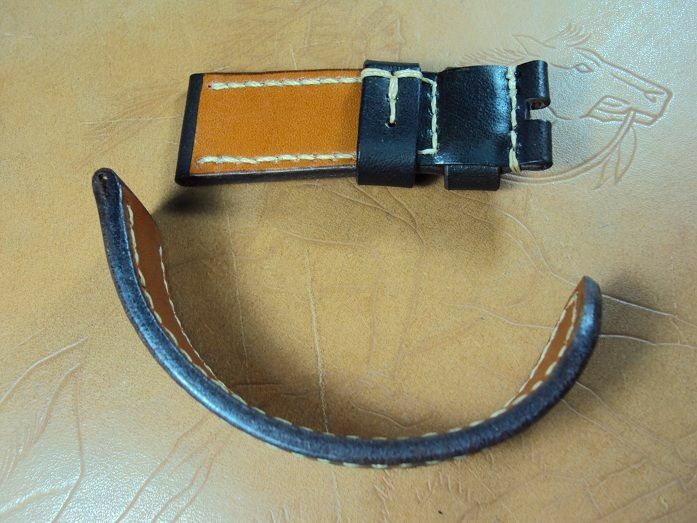 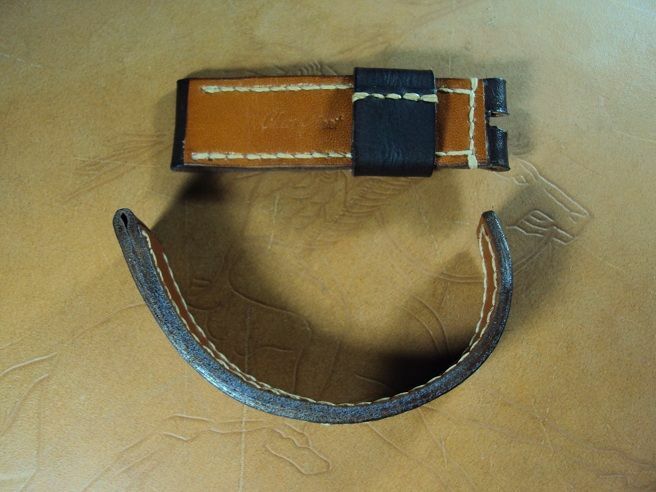 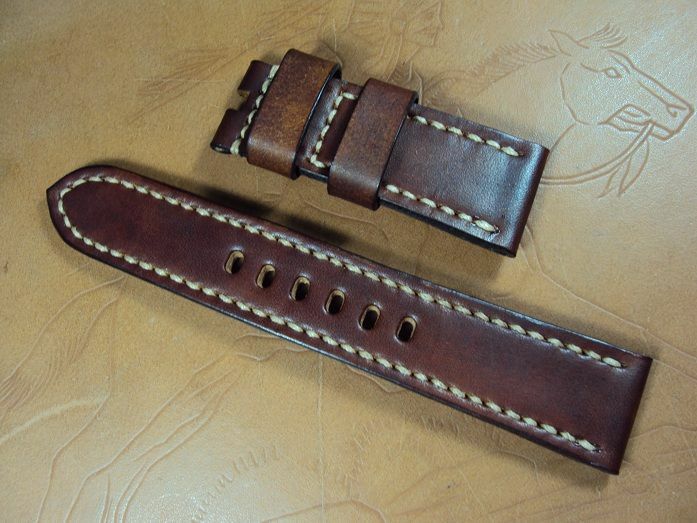 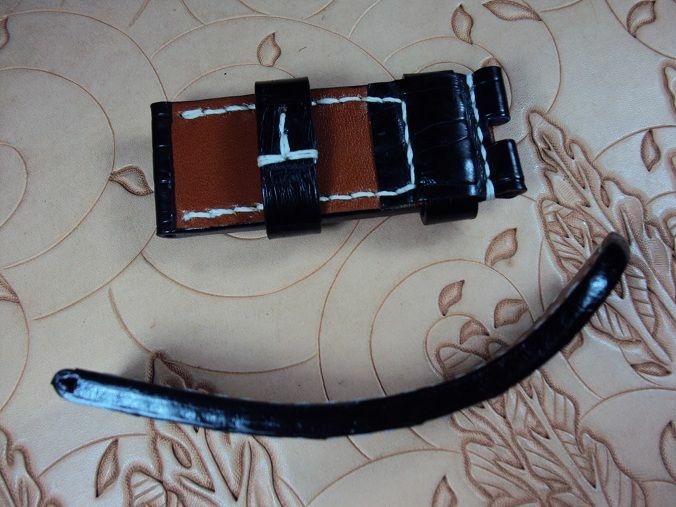 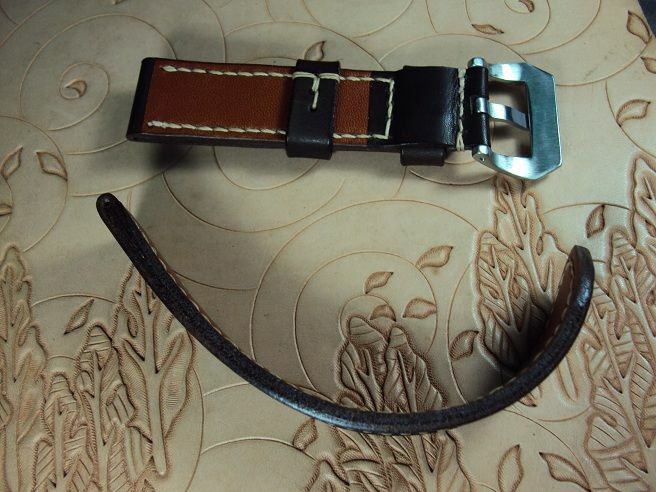 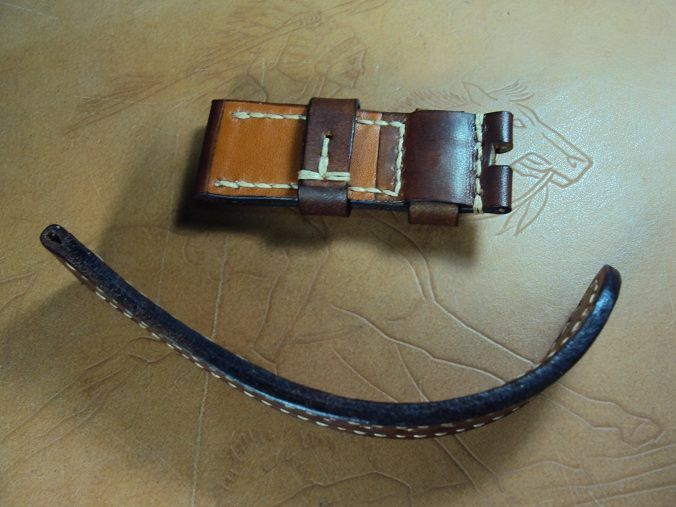 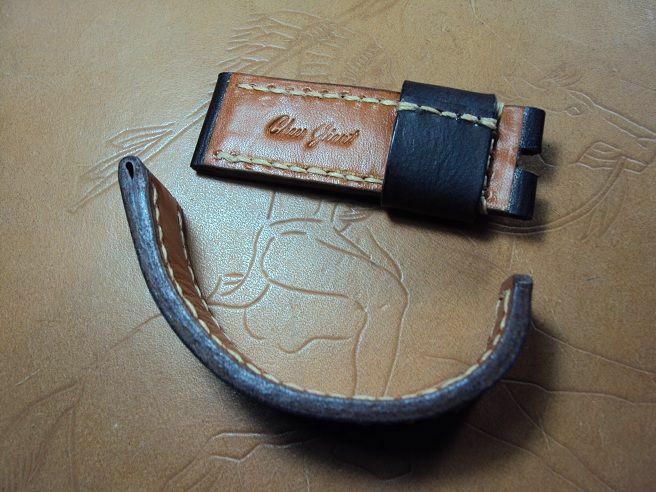 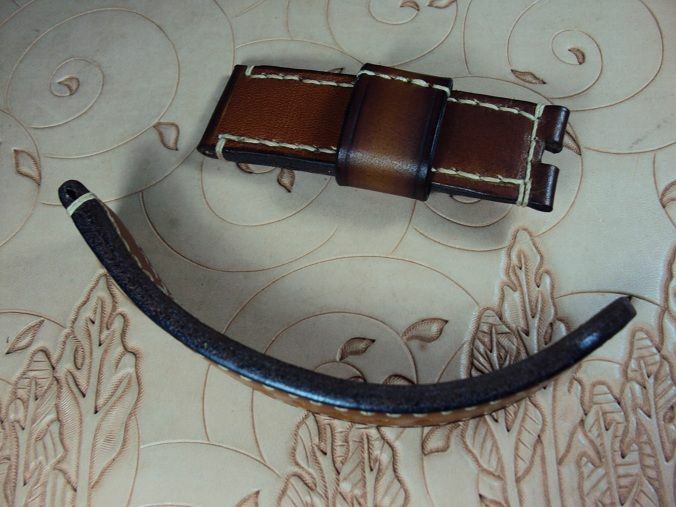 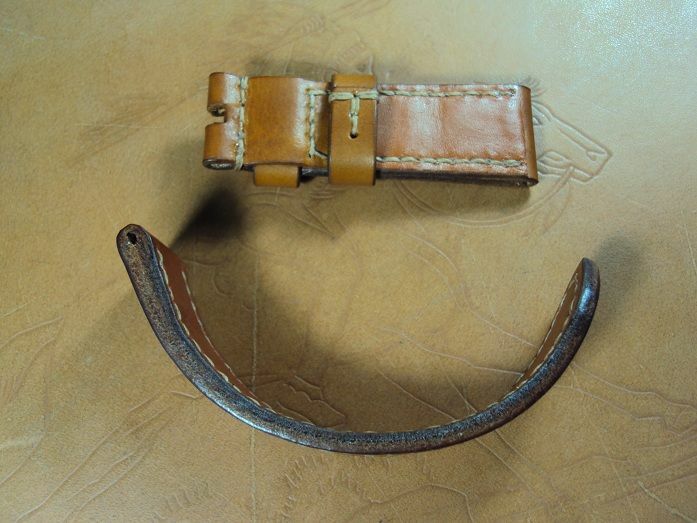 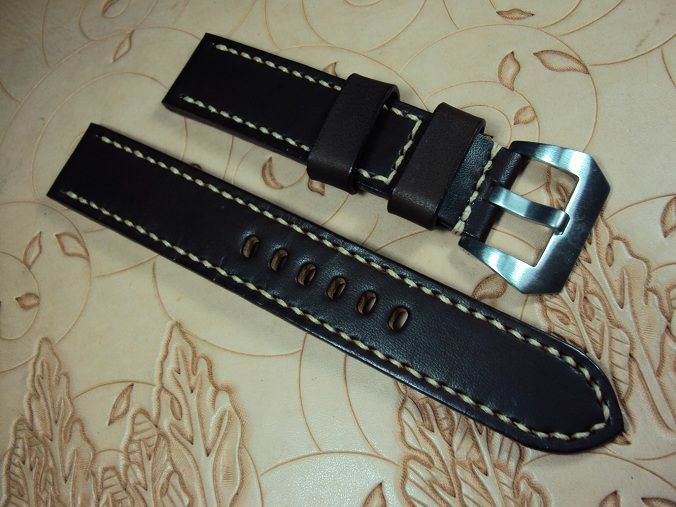 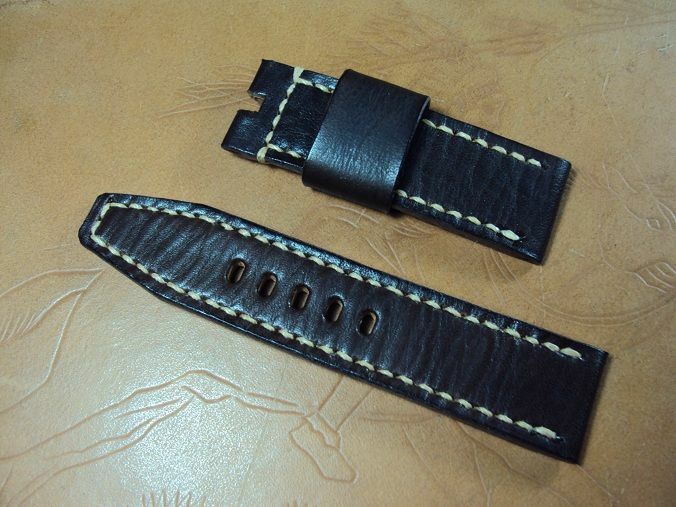 But the middle layer of our hand made padded leather strap was made of genuine leather board pad. 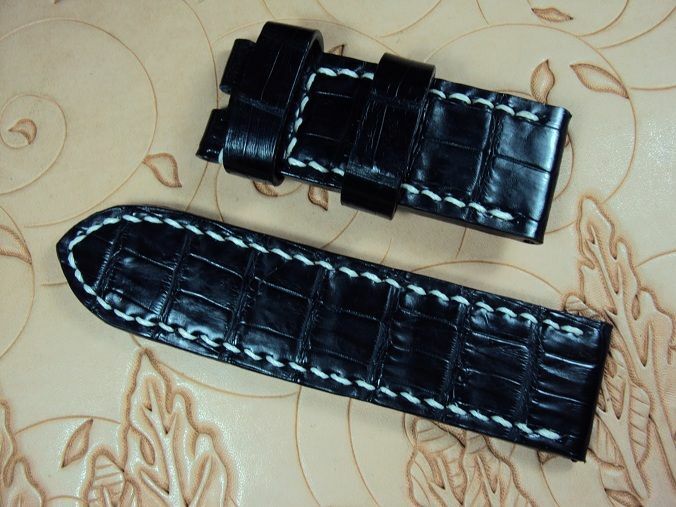 After that, we glue together among the upper side cow skin, the middle curved calf board pad and the back side calf lining and sew these three pieces together. 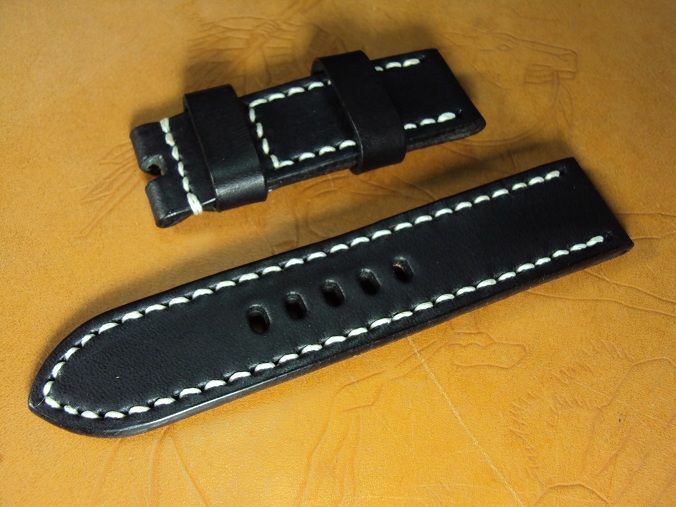 Therefore, our custom made padded leather strap will be more durable, clean and anti-allergenic during the wearing period. 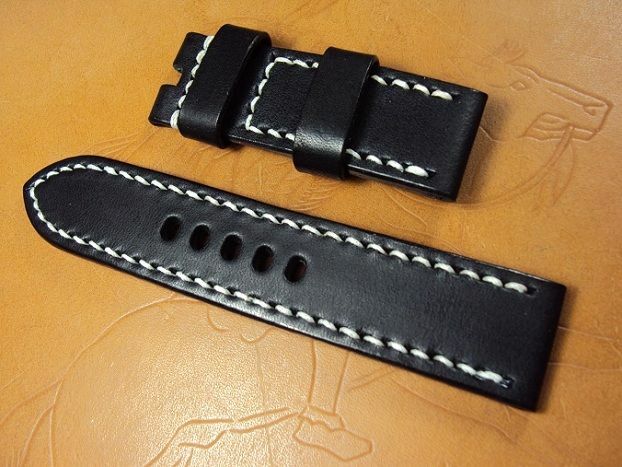 A2162 Panerai soft black crocodile strap, 26x26mm, 70x110mm, thick 5.0mm, white stitching. 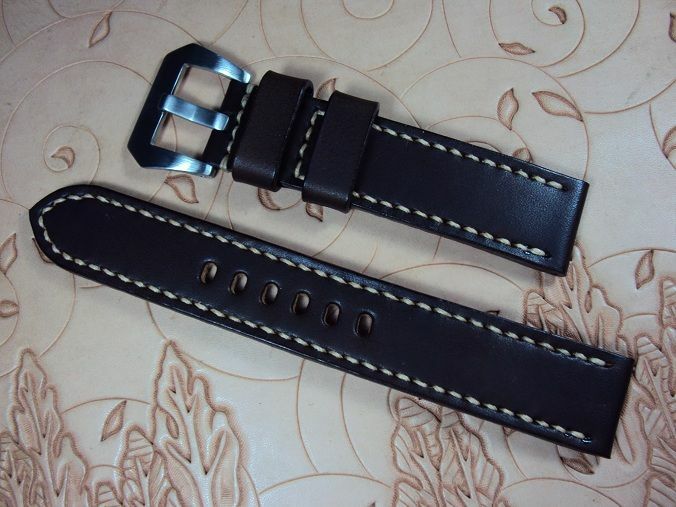 A2163 Panerai ultrasoft dark brown leather strap, 22x22mm, 90x145mm, thick 4.0mm taper to 3.5mm, cream stitch. 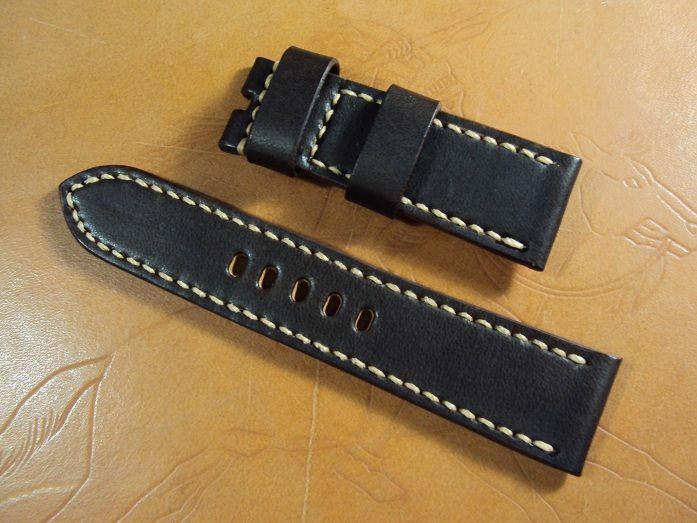 The pre-v buckle is an optional item which charges extra $ 15 USD. 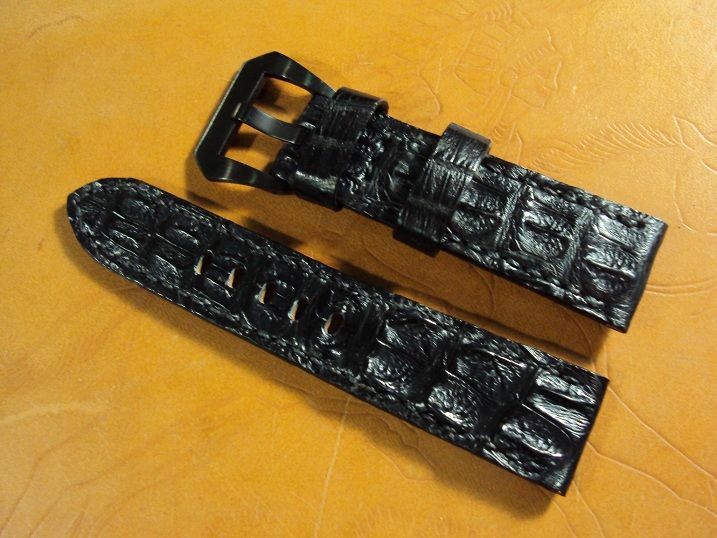 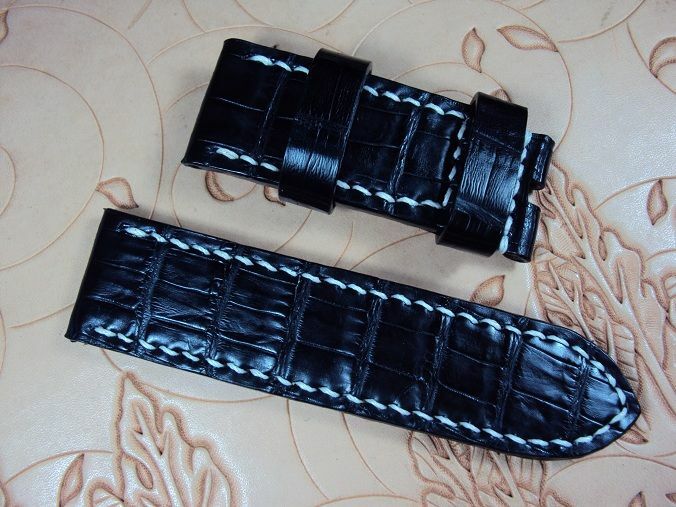 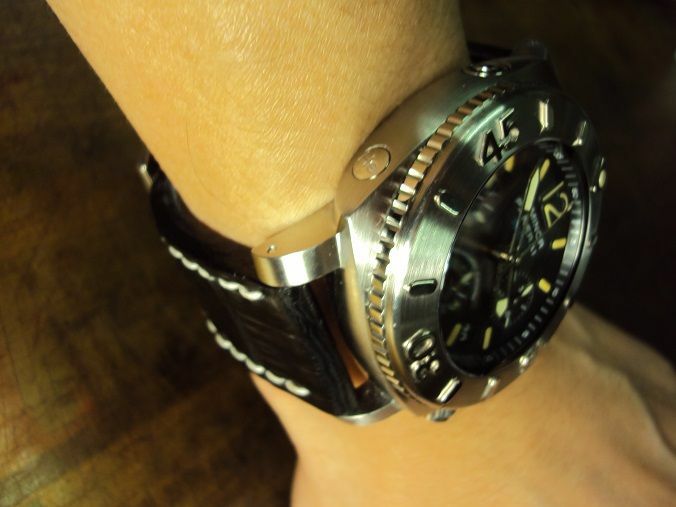 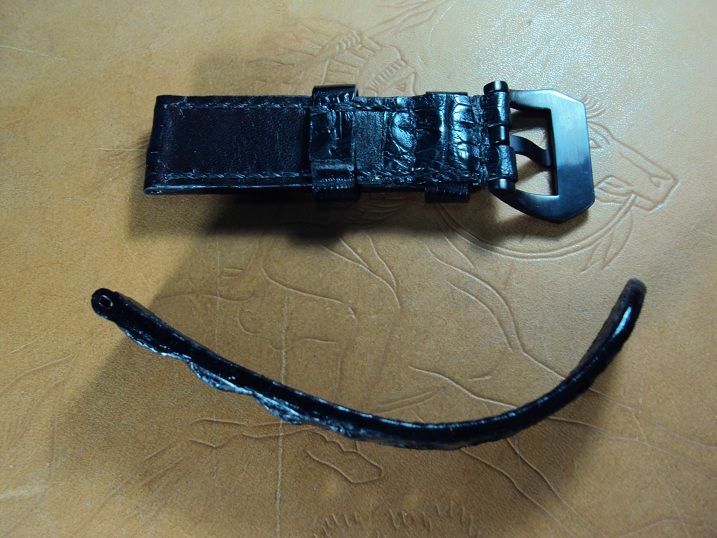 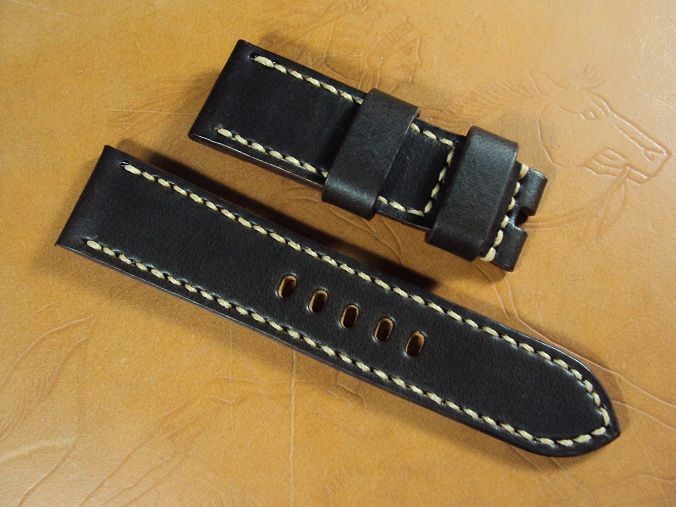 A2164 Panerai black big horn crocodile custom strap, 22x20mm, 75x115mm, thick 5.5mm taper to 3.0mm, black stitch. 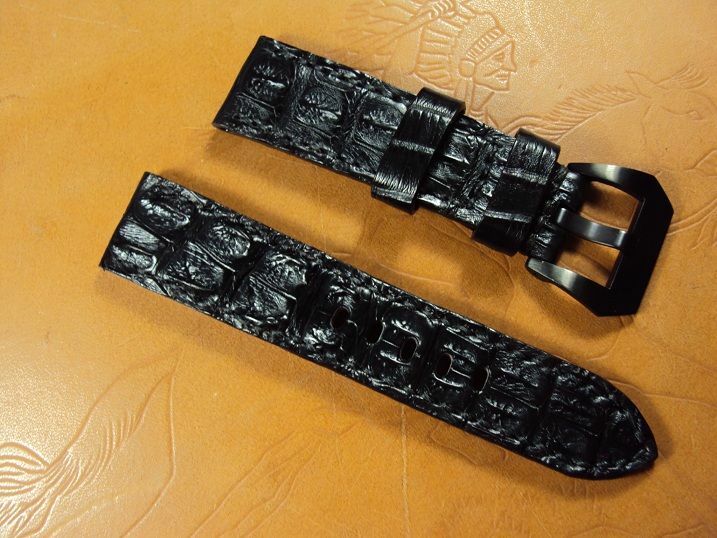 The black PVD buckle is an optional item which charges extra $ 20 USD. 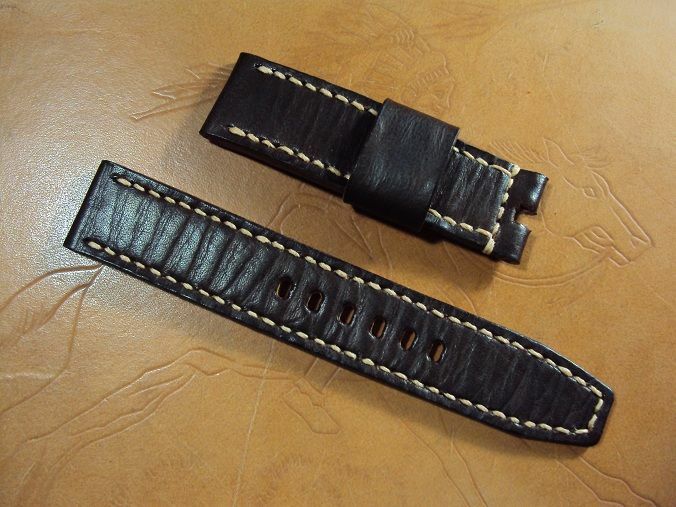 CG011207, Panerai ultrasoft black vintage leather strap, 24x24mm, 70x120mm, thick 6.0mm taper to 3.6mm, white stitch. 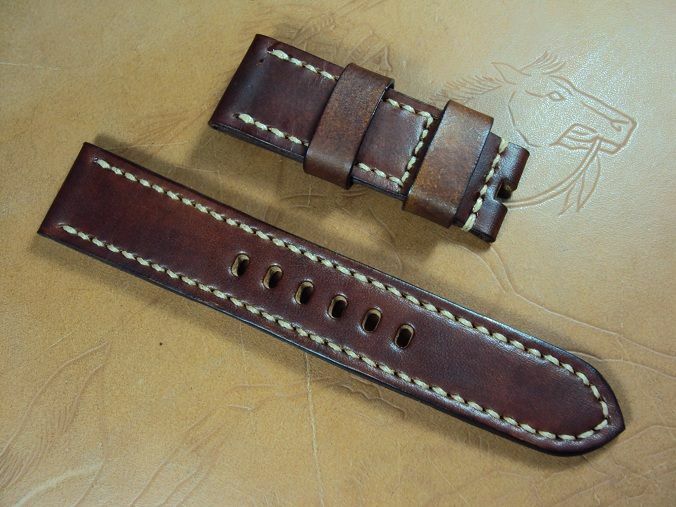 CG121209a Panerai ultrasoft dark brown grained leather strap, 22x22mm, 70x110mm, thick 4.5mm taper to 3.5mm, cream stitch. 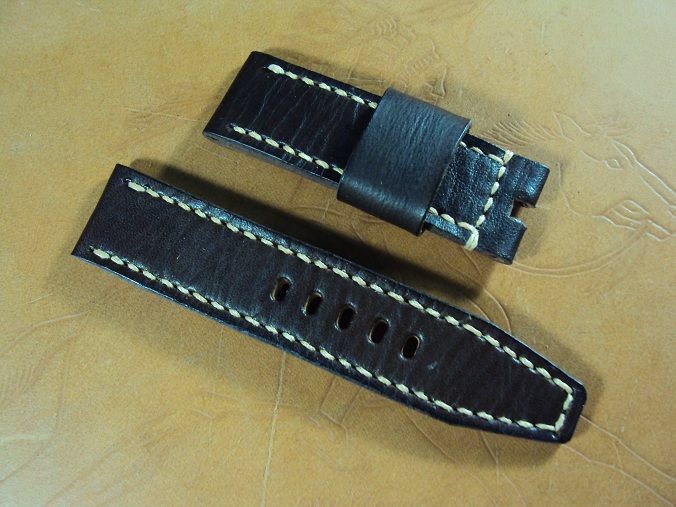 CG121209b Panerai ultrasoft dark brown grained leather strap, 22x22mm, 80x130mm, thick 4.5mm taper to 3.5mm, cream stitch. 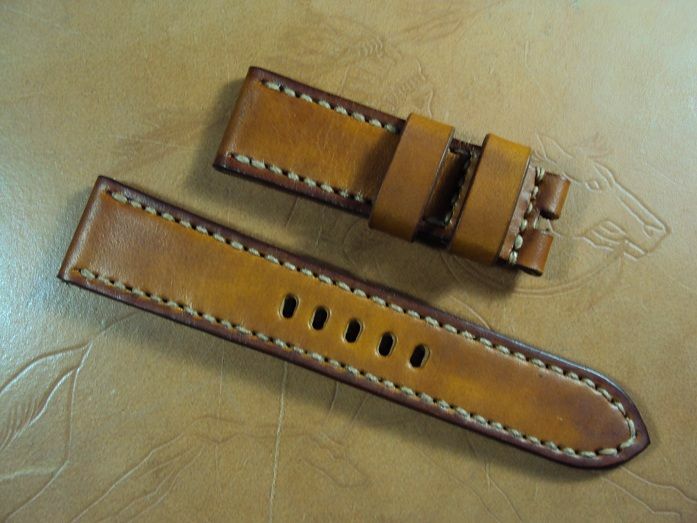 CG1011218, Panerai honey brown vintage leather strap, 24x22, 75x130mm, thick 4.8mm taper to 3.7mm, cream stitching. 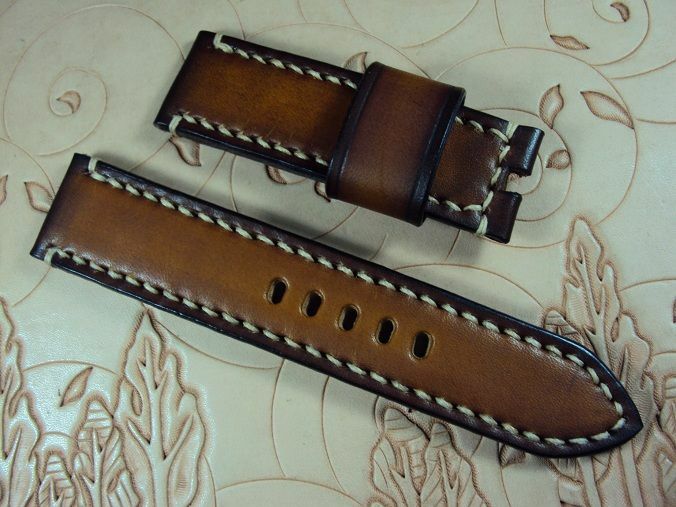 CG12121502, Panerai ultrasoft dark brown leather strap, 24x22mm, 73x125mm, thick 4.8mm taper to 3.8mm, cream stitch.